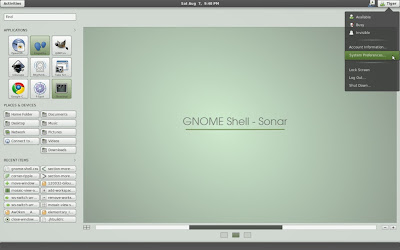 Elementary, Ambiance, Sonar - Most Beautiful GNOME Shell Themes Ever! 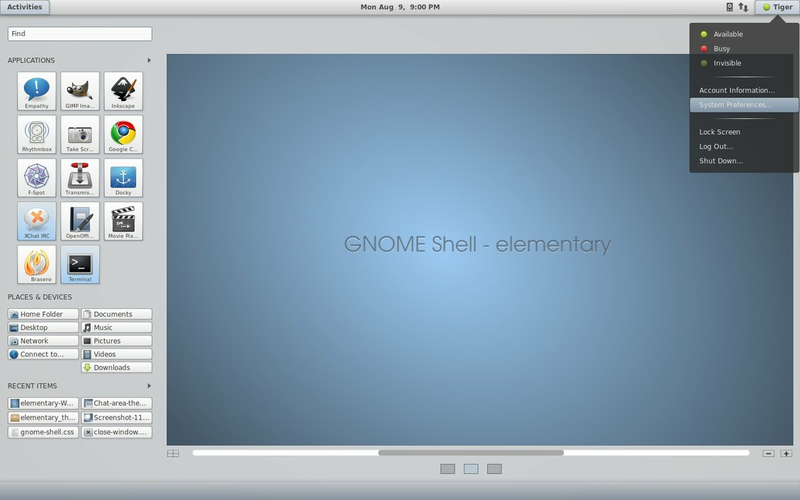 We saw the quiet evolution of GNOME Shell aka the next generation GNOME desktop environment. Now lets do some GNOME Shell theming. Hope you guys are familiar with Elementary and Ambiance GTK themes. Now they have these stunning GNOME Shell variants which are absolutely beautiful. First of all you need to download these themes. 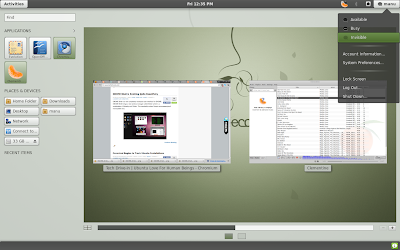 Download Elementary GNOME Shell Theme. 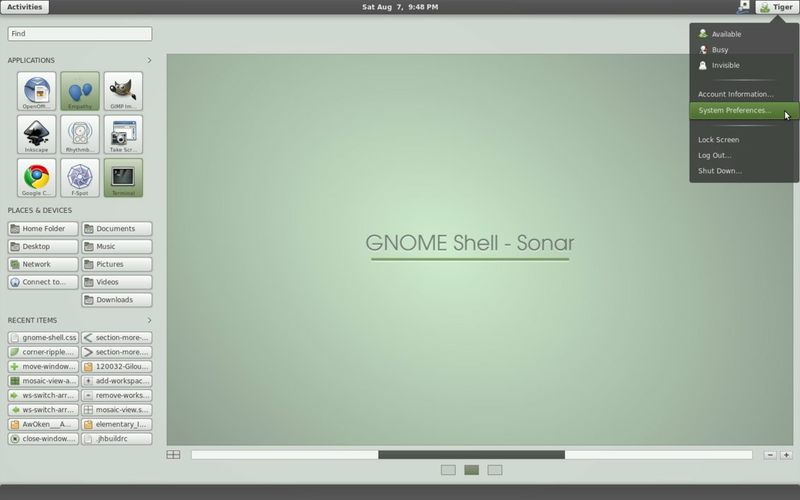 Download Sonar GNOME Shell Theme. 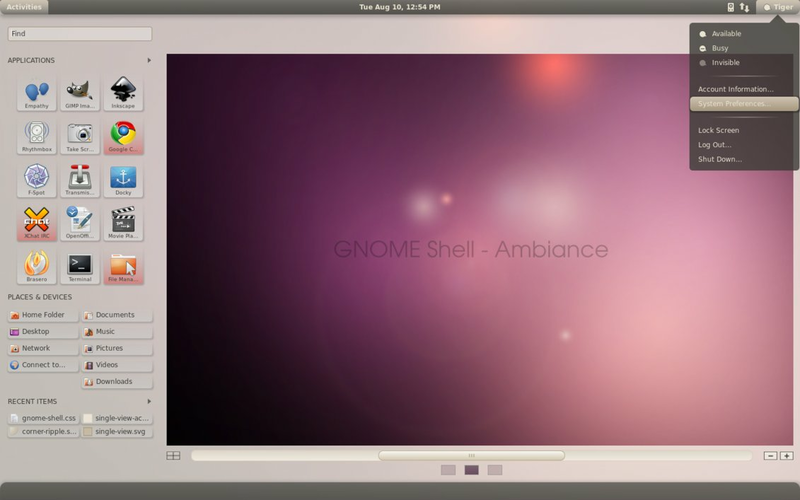 Download Ambiance GNOME Shell Theme. How to Install GNOME Shell Themes? If you are doing it via Nautilus, you have to open Nautilus as root. Hit ALT + F2 and type "gksu nautilus"(without quotes) to open Nautilus as root. Thats it. Now to enable the new theme, you need to restart GNOME Shell. Hit ALT + F2 and type "restart". Done. You have your new GNOME Shell theme installed and running great(hopefully). Here is my GNOME Shell desktop. Thanks to half-left for letting us know about his beautiful GNOME Shell themes.